On-line registration is closed. Although, you can register at the Vintage Faire Mall on Friday from 11am to 6pm in front of the Macy’s housewares store near the escalators. Or race day at the Brenden theatre from 7am to 8am. 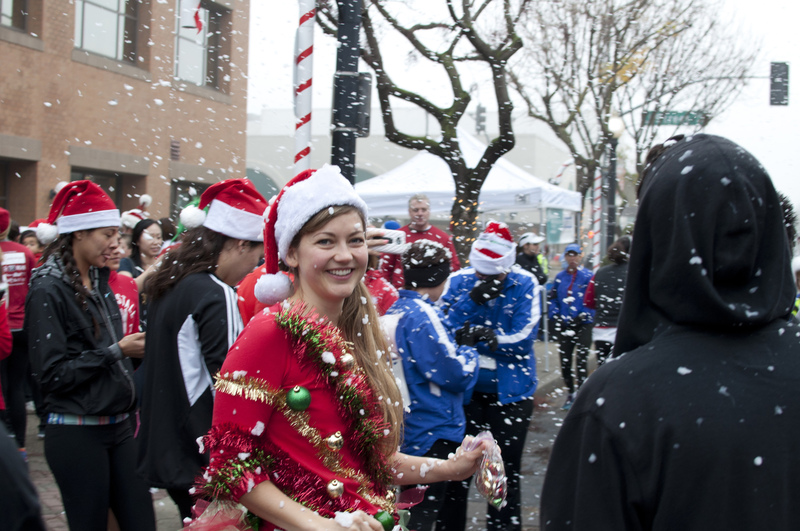 This is a fun holiday event for the serious and not so serious runners and walkers. Local business will be open so bring youir ID and debit card and enjoy an after run meal and beverage. 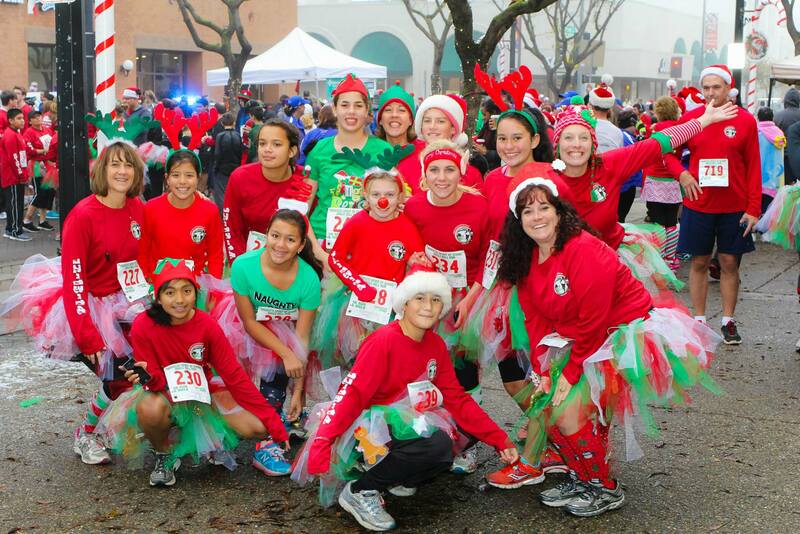 Bring your friends and family and create a running Santas, elves, grinches or whatever group. Get in the Spirit! 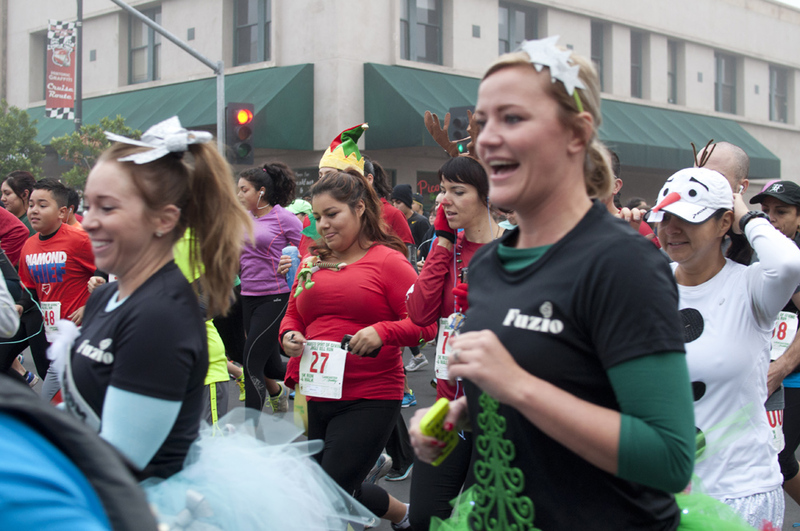 Run past the prestigious Gallo Center for the Arts, through beautiful College area neighborhoods and back to downtown Modesto. Wear your Jingle Bells, Santa garb or whatever suits your fancy. For those of you thinking PR, this is the course for you, with few turns and curves to rob you of precious seconds. 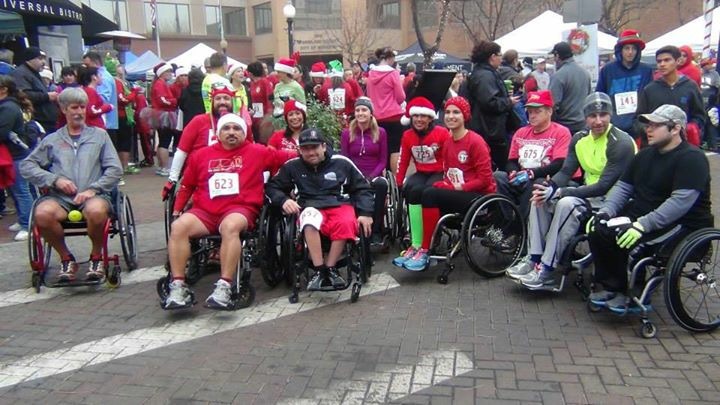 See you at the finish line!! 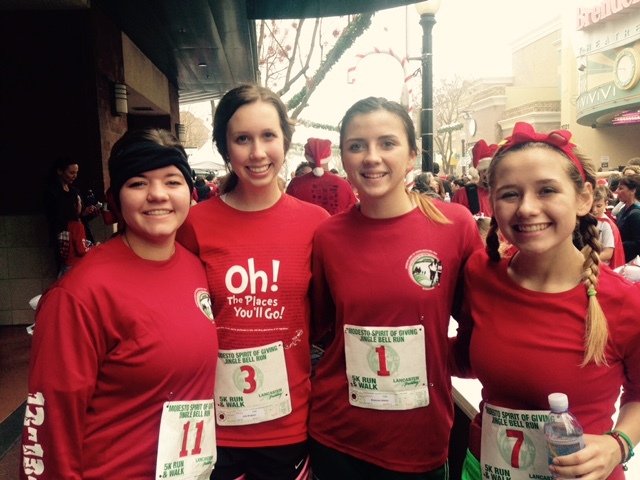 Informally known as the "Help Santa give the Grinch a Heart" kids run. 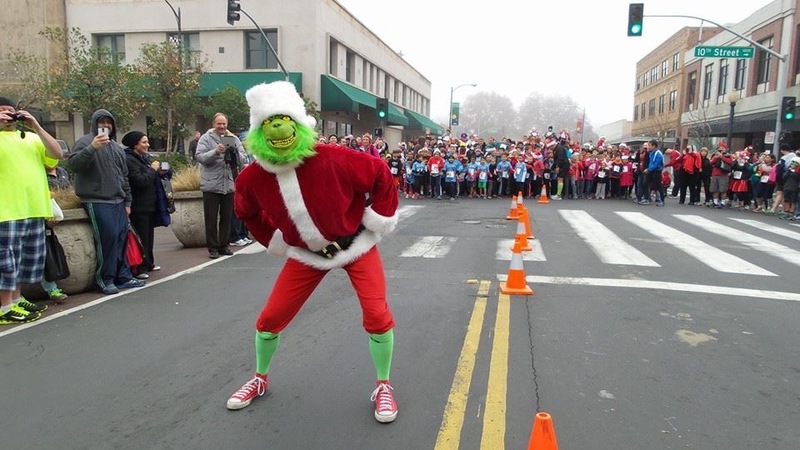 We need kids young and younger to help Santa give the Grinch a heart and save Christmas. 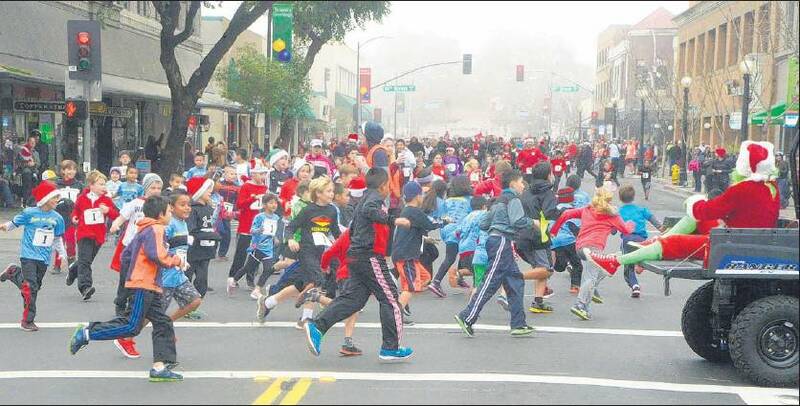 Candy Canes and medals for all our little heroes 10 years and younger. Free pictures with Santa and the Grinch. The fun run will not be timed. Canned food donation also gets you access to free movie at Brenden Theaters. This year's movie will be determined soon. Medals 3 deep in 5 year age groups male and female. 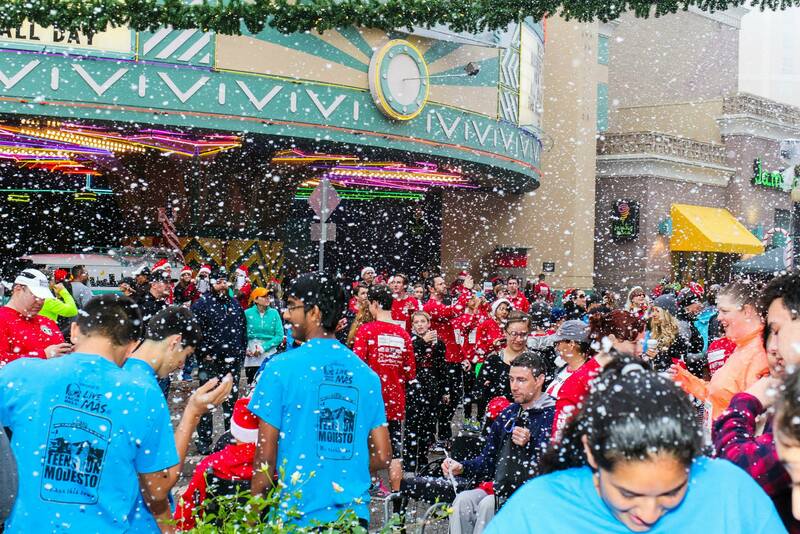 All 5K registrants will receive a quality tech shirt. Again this year, adult men's and women's shirts with expanded sizes of XS - 3X for men and XS - 2X for women. Groups of 10 or more adults will receive a $5 discount off each adult group member's entry fee.